tderz Have a look at the (white) position after move 71! 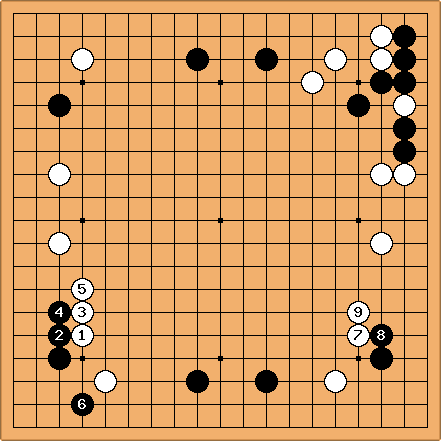 Black has 3 corners and a twicefold access to the middle. Normal mortals would be at a loss in such a game position. Eventually White lost by 3 points, yet it is impressive how he did. tderz: BTW, white created this position by moving to here!